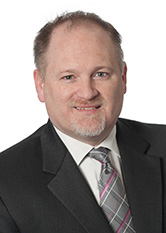 Douglas A. Stevinson focuses on commercial, real estate, and banking litigation. He has experience in commercial and corporate disputes; banking matters, including lender liability defense and asset recovery; real estate litigation; contract disputes; and construction litigation. While attending Seton Hall Law School, he served as an Articles Editor for the Seton Hall Law Review. Mr. Stevinson was also accepted to participate in the Consumer Law Clinic at Seton Hall Law School's Center for Social Justice where he received the American Bankruptcy Law Journal Prize for 1996-97. Successfully represented an oppressed shareholder of a privately-held company, and scored a $3.2 million judgment and separate attorney fee award for the client. The case involved claims under the Uniform Fraudulent Transfer Act, breach of fiduciary duties, and both compensatory and punitive damages, as well as a referral to the state attorney general / prosecutor’s office for alleged criminal behavior. The case involved a successful family business with an innovative product and a renowned reputation in the science, academic, medical and defense industries. Following more than five years of litigation due to, among a myriad of issues, defense’s failure to respond to the Court’s requests, it was found that our client was routinely defrauded by the defendant, including illegal transfer of a substantial number of company assets. June 20, 2016 - Law360 - NJ High Court: Lenders Could Lose Their Mortgage Priority.